Japan. Literally translated The Land of the Rising Sun. When we think of Japan, we think of beauty and grace, tradition and ritual. 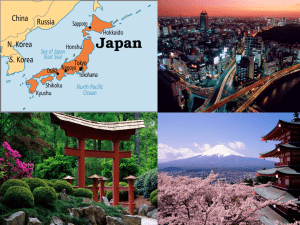 Japan is a country that enjoys a wide range of geographical variety including mega cities like Tokyo and Yokohama, islands, mountains, forest, country, volcanic zones, and villages. The climate is also varied ranging from temperate in in the northernmost parts to humid subtropical along the Pacific coast. Japan has over 90,000 species of wildlife, is the third largest national economy in the world, is home to some of the largest and most technologically advanced producers, is a leading nation in scientific research, and it’s population is estimated at around 127.3 million. place with such a rich history would come such exotic and intriguing decorative elements for the home. Japanese decorating is minimalist and is all about bring the outdoors inside. Many natural materials are utilized such as bamboo, cane, and wood. Indirect lighting, muted colors, and movable screens and panels are also widely called upon in Japanese design. Nature scenes are very common in Japanese art. Earthenware, pottery, furniture, screens, and other decorative elements often depict animals, plants, flowers, or other natural scenes. 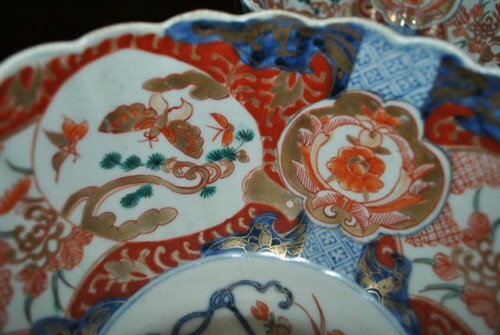 On the right is a beautiful set of Meiji period, late 19th Century bowls with a beautiful floral and butterfly design. To the left is a beautiful piece that we just got in. 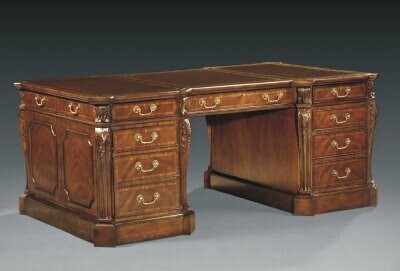 It is an antique ebonized, Japanese secretary from circa 1910. The beautiful hand painted front depicts a beautiful scene with mountains in the background and a lake and trees in the foreground. There is a man rowing a Kanji on one side and a traditional pagoda on the other. 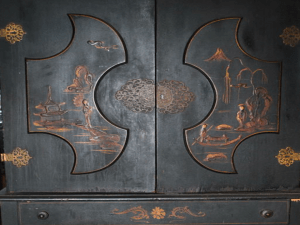 These beautifully painted items are very typical of Japanese art and styling.